We gently process our ingredients in the heart of the Midwest. 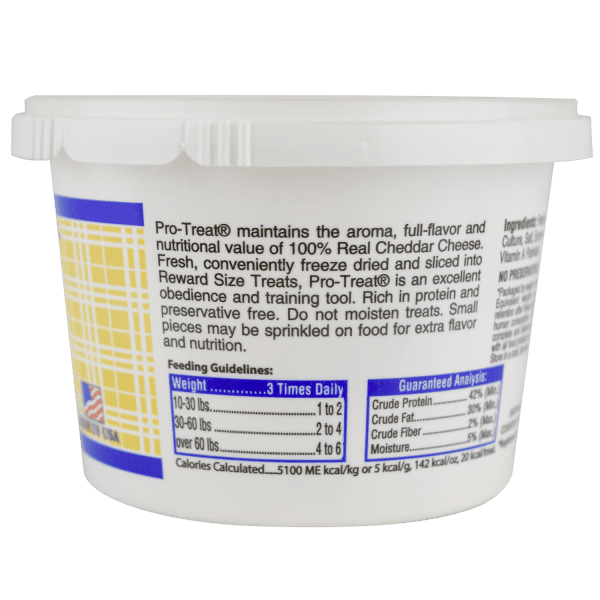 Unlike other training treats, Pro-Treat freeze dried cheddar cheese dog treats are a healthy, high-value reward. You can offer them with peace of mind, knowing that they’re good for your dog. 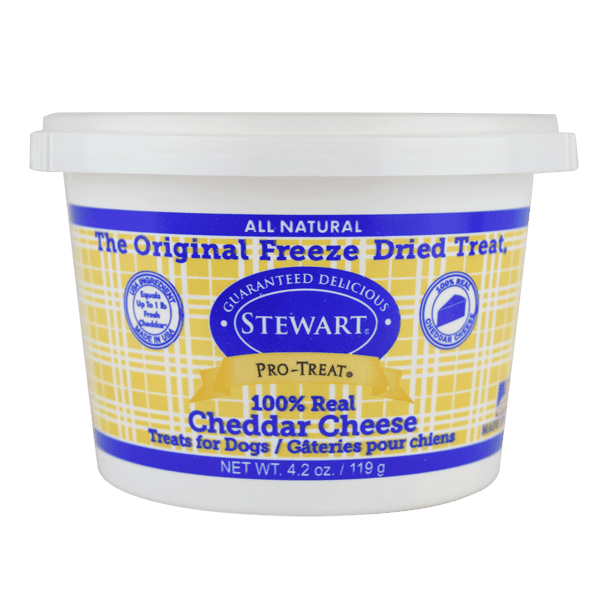 Stewart Pro-Treat dog treats, the choice of professional trainers, are also great as a food topper for picky eaters. 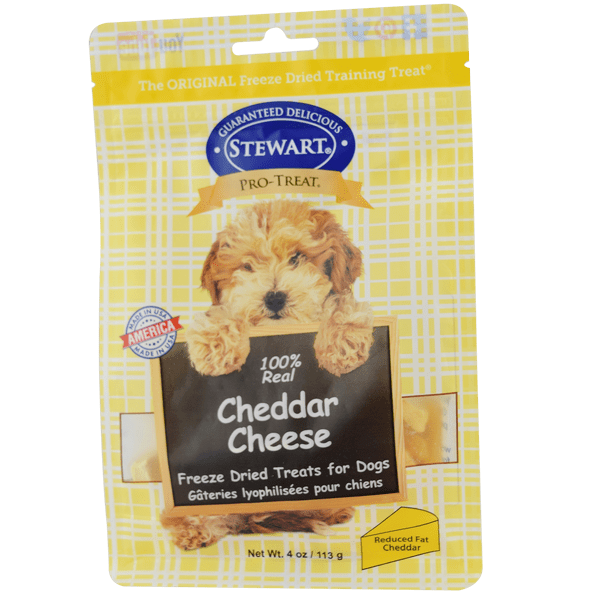 Cheddar cheese treats are sure to become your dog’s new favorite, and the perfect way for you to share excitement and joy. Say cheese and watch your dog come running. Made from 100% real, cheddar cheese, our new Pro-Treat cheddar cheese dog treats are perking up dogs’ ears everywhere. Because we’re pet parents, too, we choose locally sourced, reduced-fat cheese. Your dog will enjoy the nutrient-rich calcium and protein with less fat. 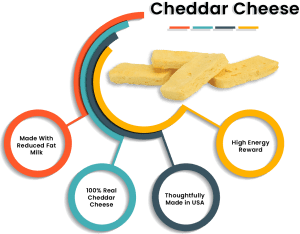 These cheddar cheese dog treats are freeze dried with happy inside! Make rewarding your dog more rewarding! 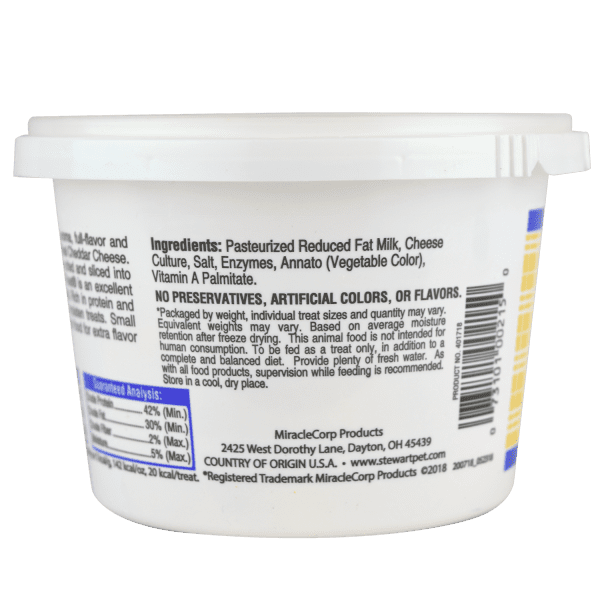 5100 ME kcal/kg or 5 kcal/g, 142 kcal/oz, 20 kcal/treat.